AMTECH makes high performance Knife Edge Gate Valves features with design suitable for specific media.We have unidirectional knife edge gate valves. The gate of knife edge gate valve is made from SS 304, SS 316,SS 410 and we can do the special treatment for lincrease the life span. A wide variety of hardened trim options are also available for the Gate, Seat and Wear Rings. Knife-Edge Gate Valves withstand high temperature & abrasive slurries in Mining, Steel, Power, Chemical, and Paper Industries Ideal for high-density Slurry Lines.We mfg special valves for the Power plants with quick opening design.We have soft seated valves with Teflon ,Nitrile,EPDM,Viton,Silicon etc. 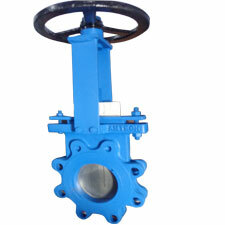 Please click on the links below, to know more about each of the knife gate valves.